Sabrina Park is an Executive Coach for Executive Development Associates and based in Seoul, Korea. 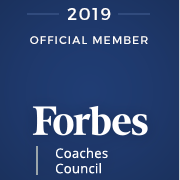 As an experienced coach and PCC (Professional Certified Coach of ICF), Sabrina has been coaching and facilitating workshops in the field of life and executive coaching for the last 9 years. She has worked with companies, governments, universities and high schools providing coaching for their leaders in the areas of developing leadership competencies and organisational change. Her book, Life Coaching of Principles and Skill for Social Workers, made it possible for her to share her knowledge and experiences of coaching to over 500 coaches in Korea. Sabrina started her coaching career in 2005 with a European company, Swiss-Asia HR Consulting Korea, with the title of Head. Before coaching, she had a variety of careers such as marketing, flight attendant, opera organizer, reporter at a broadcasting system, and conference organizer. These experiences have enhanced her competencies of flexibility, open-mindedness, business orientation and independence, giving her deep understanding people and business. She provided the service of structuring competency, 360-degree competency assessment and competency development programs with both consulting and coaching focusing on multinational companies in Korea. She has worked as a coach and facilitator providing leadership coaching, emotion coaching, life coach training, communication, cross-culture coaching and collaboration at work. Her clients include LG electronics, Mars Korea, Tesa Korea, Standard Chartered Bank, Citi Group, Toll Group, GM Service Centre (SME), HSBC, ADIDAS Korea, Sanofi Korea, SMEs and the education sector. Her successful coaching career has made it possible for her to broaden her view of coaching from Korea to Asia-wide. Now she provides lectures at Sehan University about “business coaching basics” as adjunct profession. She has a Master’s degree and BA from Ehwa Women’s University in Seoul Korea majoring in music. She is a NLP Master practitioner of ABNLP, and has completed ILCT (International Life Coaching Training).